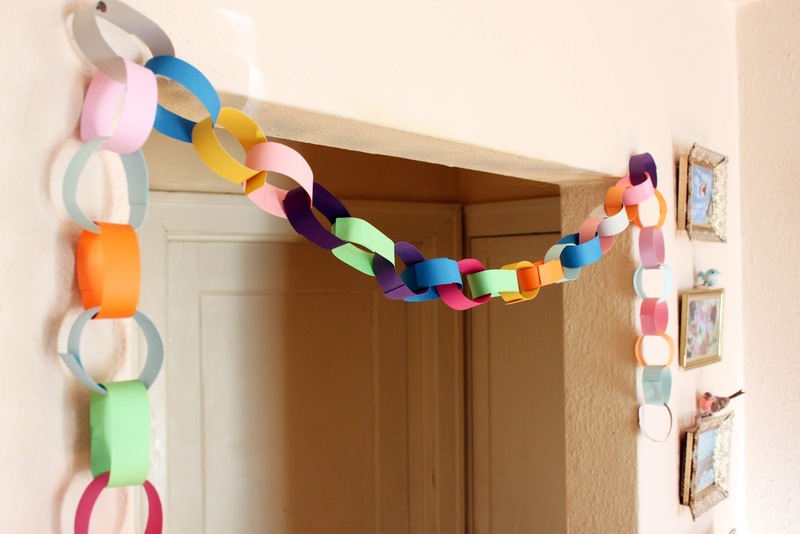 Paper chains are a great way to help countdown to a big event happening in your life. In our house, the biggest thing on the horizon is Election Day. Nicholas has been working like mad on a political campaign for nearly a year. I think we're both at the point where we're counting down the days to some return to normalcy. Paper chains are also an inexpensive way to decorate. 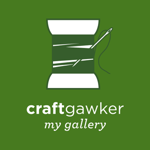 Make some orange and black chains for Halloween or red and green chains for Christmas. 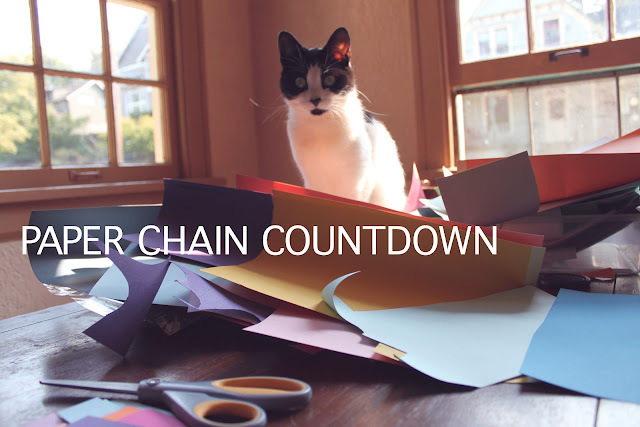 Cue the paper chain countdown! 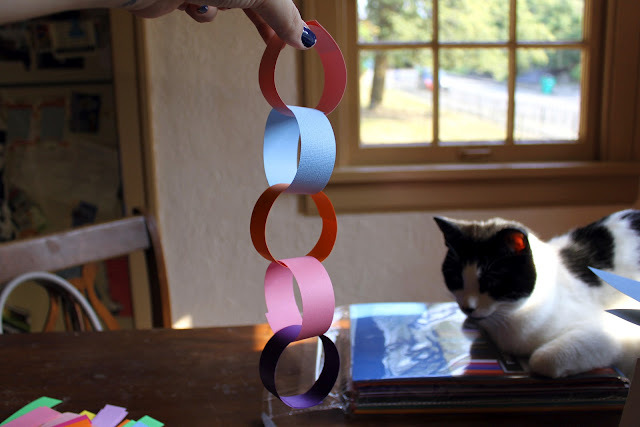 In case you don't remember what you need to complete a paper chain, let me remind you. You'll want to pay attention. Grab some card stock, scissors, glue stick, kitten assistant, and your Gameworks glass full of water--it's important to stay hydrated. (Nicholas won this at Gameworks on the Operation game at which he apparently excels.) Once you cut your card stock into strips, you'll be ready to construct your chain. Press the ends together and hold them for 3 or 4 seconds. Loop the next strip through the first link and repeat the previous steps. Boom goes the dynamite: now you have 2 links! Keep it up, and the next thing you know you'll have the start to a mighty fine chain! I started to work out a system to get things done quicker. Every day Nicholas can rip off one link and see how much closer he is to the finish line. I made the final link all sparkly, as it marks the finale! 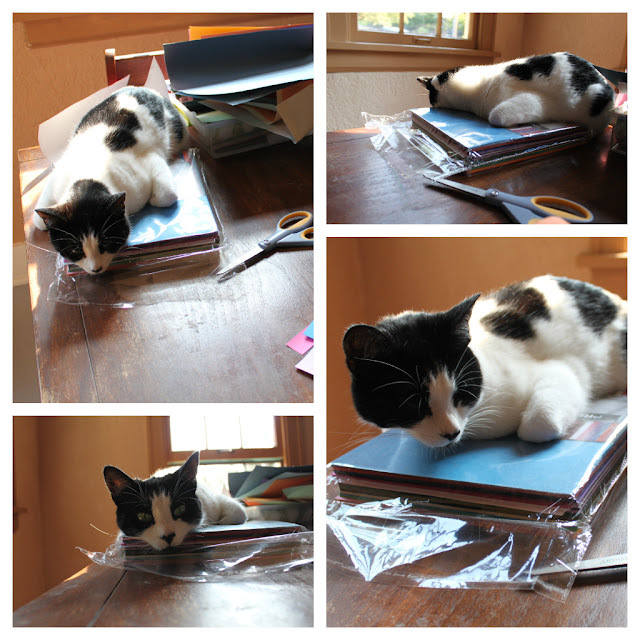 Warning--paper chains aren't difficult to make, but they can get exhausting. Peanut petered out about halfway through, falling victim to a turkey nap. May your assistant stay awake long enough to complete the whole chain. What a cute idea for a countdown! I think I may make one for the Christmas countdown just for fun. Oh, and I'm dying laughing over Peanut's turkey nap. That is some exceptional turkey action going on! LOL! Thanks Heather. Yeah she was really feeling the turkey pose that day!